Now snag BOTH the Newborn & Infant Sleep Guides for a full YEAR’S worth of certified sleep advice for a discounted price! This Sleep Survival guide BUNDLE is exactly what every New & Pregnant Mom needs to know about BABY SLEEP! When you have a brand new baby, the last thing you have the energy for is reading multiple sleep books trying to figure out how to help your Infant sleep. 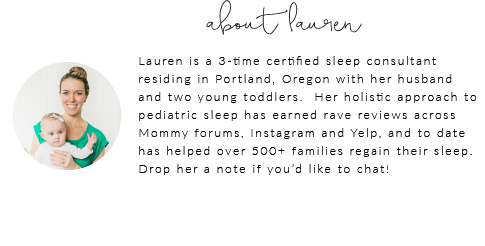 With over 100+ pages packed with sleep tips & ideas that you won’t find together anywhere else, this is the ONLY baby sleep information you’ll ever need to read. This “loaded” guide is packed with amazing secrets and EASY tactics previously only shared with full-time clients, and will set you up to have sleep success long past the 12-month mark by assisting you in creating great sleep habits from the start. DOWNLOAD NOW- don’t wait until your baby is 12+ months old and not sleeping. You will wish you had this from the beginning! For ages birth through 15 months old. Once purchased, a special link will be emailed.